WASHINGTON — America’s largest business lobby is hailing the Trump administration’s plans to boost American weapons exports. “The U.S. Chamber of Commerce Defense and Aerospace Export Council (DAEC) welcomes the State Department’s announcement regarding the approved implementation plan for the Conventional Arms Transfer (CAT) Policy," council President Keith Webster said in a statement Friday. The U.S. State Department this week announced its planned process to implement the Conventional Arms Transfer policy, which adds economic security as a factor when the government considers whether to approve arms exports. It intends for the executive branch to advocate strongly on behalf of companies exporting defense items. Webster, who was President Barack Obama’s last director of international cooperation at the Pentagon, called the policy “a major first step toward improving government decision processes and policies.” Aerospace and defense firms rely on innovation and U.S. government support to compete on a global scale, he noted. The export council last month offered some 30 recommendations on how to hardwire economic security and defense-industrial base considerations into the government’s international arms sale decisions. “We appreciate the administration’s outreach throughout this process and are pleased to see DAEC priorities in the plan, including policy changes that will improve bid timeliness while reducing costs to industries, place emphasis on economic considerations in the federal transfer decision process, and expand trade promotion," Webster said. The policy has attracted pushback from arms control advocates who say it risks fueling conflicts around the world and aiding regimes that do not respect human rights. “If the administration is serious about claims that these changes make for responsible policy, it should add much greater transparency into the arms transfer and monitoring process,” Forum on the Arms Trade’s founder and coordinator, Jeff Abramson, wrote last month. The U.S. leads the world in arms transfers, with $47 billion expected so far this year, whereas the State Department approved $42 billion in government-to-government sales for all of 2017. “Defense exports are good for our national security, they’re good for our foreign policy. And they’re good for our economic security. 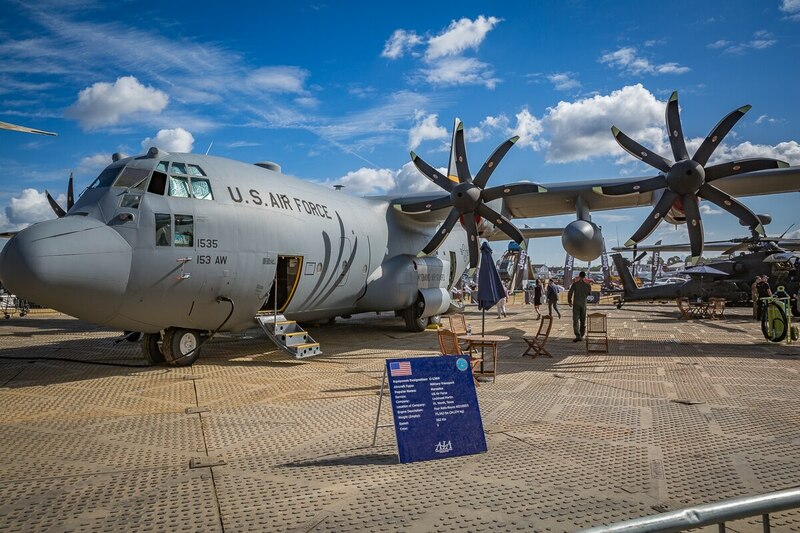 And as the administration and our leadership has said, economic security is national security,” Lt. Gen. Charles Hooper, head of the Defense Security Cooperation Agency, said during the Farnborough International Airshow on July 18. Aaron Mehta in London contributed to this report.